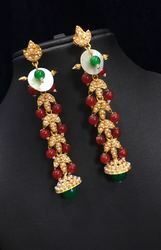 Our range of products include color stone earrings, small color stone earrings and pearl shell earring. 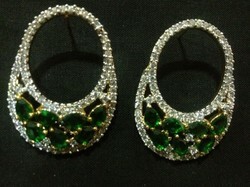 Green Emerald gives a traditional as well as a party wear look. 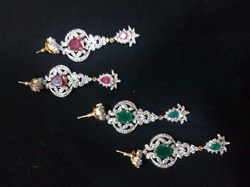 These are color stone earrings, specially designed to combine with any pair of jewellery.